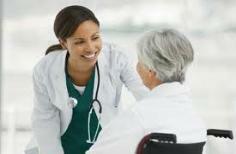 Become a Certified Nursing Assistant. Our CNA classes are only $200. Our 2 Day CNA Exam Prep Classes (with CPR certification) is only $245. Thousands of students, just like YOU, have completed our Fast Track CNA program. Hundreds of our previous students have advanced their education and are now working as Nurses and Physician Assistants. Come see the difference between CHEAP training and REAL training at an affordable price! Florida Training Academy is owned and operated by an actively licensed Registered Nurse with nearly a decade of CNA training experience. Eunice Mathis, RN, BSN, our Registered Nurse. Weekend 2 Day CNA classes are $200 and are taught by a Registered Nurse. Why have thousands of students chosen to attend the CNA Exam Prep classes at Florida Training Academy? Florida Training Academy, formerly Perfect CNA, provides hands on tutoring for both the written and clinical examination in only one week or less. Our CNA exam prep class is a quicker and less expensive route that prepares you to successfully pass the State CNA examination. Our course is designed for those who desire hands-on tutoring prior to taking the Florida nursing assistant exam. We are owned and operated by a Registered Nurse with 15 years of clinical and test preparation experience. Other businesses may try to copy our programs but they can not duplicate our credentials nor success. Thousands of students can not be wrong! Did you know that the State of Florida allows certified nursing assistant candidates to "challenge" the state exam? Those who challenge the exam and pass are issued the same exact license as those who attended longer, more expensive courses. Why spend thousands of dollars in order to learn basic clinical skills such as bedpan assistance and how to bathe a resident? Save time and money by choosing our C.N.A. Exam Prep Class. In as little as 6 weeks, you can complete our exam prep course, pass your state exam and earn your license as a Certfied Nursing Assistant in the State of Florida. Want to know more about Nursing Assistants? Click HERE for the Job Outlook and Frequently Asked Questions. Register online with as little as $100 deposit or pay the full class tuition of $200. Select your class date and time online or by calling the office at (904)551-0918. You will receive an email confirming your class selection. Complete the class and receive a certificate of completion. Register for your state exam as soon as you can afford to do so by paying either $155 or $245 (if Level II background screening is needed) . Pass your state exam and become a licensed CNA for the state of Florida!